Corporal Greene is currently serving as the SRO at JW Mitchell High School. He has been involved with the sheriff's Explorers for decades. His experience and willingness to volunteer is unmatched. Corporal Gilmor is currently serving as the SRO at Seven Springs Middle School. He has been involved with the sheriff's Explorers for a year. FWC Officer Phillippi a Florida native and has a passion for the outdoors. Bryce received his Associate of Arts in 2005 and his Bachelor of Arts in 2009. Bryce’s professional licenses include a 50 ton U.S. Coast Guard Masters and has been working on his private pilot license. Bryce’s hobbies include freshwater and saltwater fishing, biking, camping, boating, and spending time with close friends and family. Bryce is dual certified in both law enforcement and corrections, he was a squad leader and graduated from FWC academy number fifteen in 2010. Bryce received the Florida Guides Association “Trained Eyes Coastwatcher’s” Officer of the year 2013 and a lifesaving award for rescuing a pedestrian struck by a vehicle in 2016. In 2018 Bryce was reclassified to an Officer Specialist in the fields of: Fish Identification, Imperiled Species, State Park Enforcement and Human/Wildlife conflict. 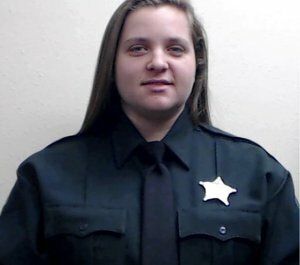 Deputy Stahl is currently a Detention Deputy with the Pasco County Sheriff’s Office. She has a Bachelor of Arts in Criminology degree from the University of South Florida and is pursuing her Master of Science in Criminal Justice degree from the University of Central Florida.